rain and noise from entering your home. Therefore no heat energy is lost. 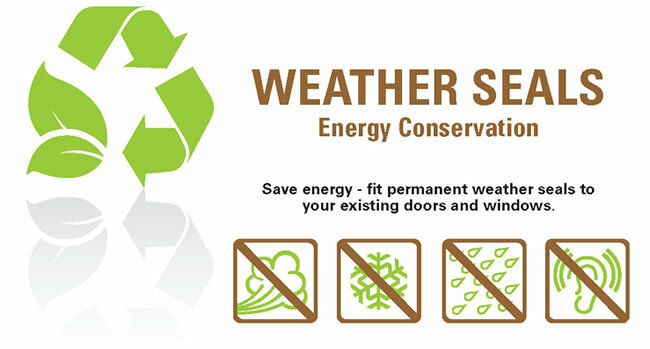 In terms of good energy conservation, good weather stripping is as important as the materials that your door or windows are comprised of. Meranti wood profile with Raven silicone rubber extrusion, to be used around door and window frames. 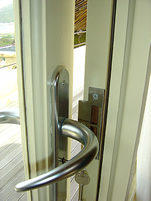 Used on opening-in and opening-out doors. 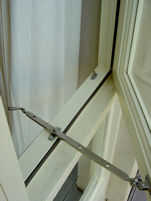 Used on all windows types except sliding sash windows. Meranti wood profile with Raven silicone rubber extrusion and aluminium flat bar, to be used on door sills. 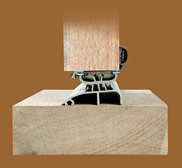 The aluminium plate protects the meranti profile against damage. Used on doors opening-out. Meranti wood profile with Raven silicone rubber extrusion, to be used as a faceplate where double doors meet. Ideal for opening-in doors. 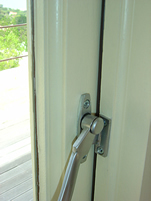 A multi-blade seal is fitted under doors and an aluminium threshold is fitted to the door sill. Perfect for severe weather conditions.